May 15, 2017, 11 a.m.
By Joseph Lichterman @ylichterman May 15, 2017, 11 a.m.
Over the years, ProPublica has tended to “stick to the things that we know how to do well,” according to Eric Umansky, the nonprofit’s deputy managing editor. One of the areas where it doesn’t have much expertise is video. Vox, meanwhile, has built up substantial reservoir of knowledge when it comes to Internet videos that focus on complex or difficult topics, and it’s begun to look at new ways to partner with other outlets to spread the impact and reach of its video coverage. On Monday, the two organizations announced that they’re teaming up to hire a joint video producer on a year-long appointment (because of the limited-time nature of the job, they’re calling it a fellowship) who will work with Vox’s video team to create videos based on ProPublica’s reporting. The Vox/ProPublica Video Fellow will be based in the Vox newsroom; the position will be financed by ProPublica. The deadline to apply is May 31. Since the election of Donald Trump, ProPublica has been flooded with donations, and one of the areas it’s investing in is video. In addition to the joint fellow with Vox, ProPublica is also hiring a video producer to lead efforts to expand in the medium. The role ProPublica is hiring for is a contract position that runs through 2018, and Umansky said ProPublica is still figuring out how exactly its video plans will take shape, though it hopes the partnership with Vox will help inform them. “We want to do the kind of videos that Vox has specialized in,” Umansky said. 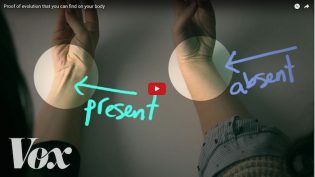 On YouTube, Vox has racked 2.2 million subscribers and more than 450 million total video views — an increase from 753,000 subscribers and 146.7 million views just a year ago. Golis said Vox’s 20-person video team regularly comes up with its own story ideas to pursue, but it’s also thinking about new ways it can work with other organizations. Last year, for instance, Vox teamed up with the 99 Percent Invisible podcast to produce a video that corresponded to an episode of the show. “These types of collaborations are a comfortable, natural thing for our team to do,” Golis said. ProPublica is also doing more kinds of collaborations. In March, it partnered with The New York Times Magazine to hire Pamela Colloff as a senior reporter at ProPublica and a writer-at-large at the Times Magazine. POSTED May 15, 2017, 11 a.m.
Lichterman, Joseph. "Sharing skills, Vox and ProPublica are teaming up on video production." Nieman Journalism Lab. Nieman Foundation for Journalism at Harvard, 15 May. 2017. Web. 19 Apr. 2019. Lichterman, Joseph. "Sharing skills, Vox and ProPublica are teaming up on video production." Nieman Journalism Lab. Last modified May 15, 2017. 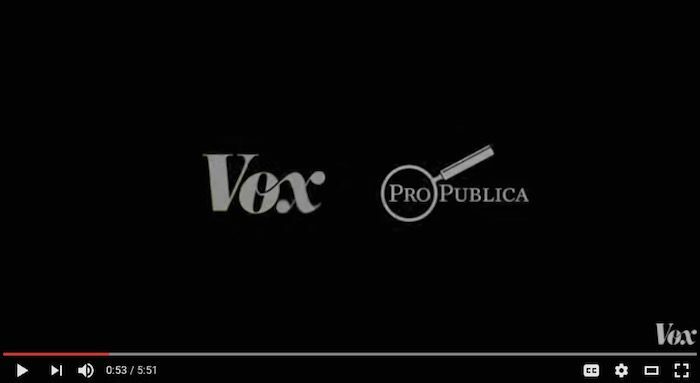 Accessed April 19, 2019. https://www.niemanlab.org/2017/05/vox-and-propublica-are-teaming-up-to-hire-a-video-producer/.